- First and foremost, the cigars arrived very fast. I did not expect them so fast to US. - 2 @ vacuum sealed packages came (identical w/ 10 cigars each). - The cigars traveled just fine and arrived w/out damage. 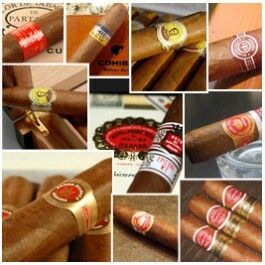 - Six of the cigars are small; robusto size or smaller (no big deal- just info for you). - Wonderful smokes...you will not be disappointed. Inside the cardboard delivery box were two heat sealed bags containing 10 cigars each. There was one layer of bubble wrap surrounding the two heat-sealed cigar bags and they seem to be in good shape. One bag had a Boveda 8gm pack in it; the other didn't. Not sure why. The package was delivered 4 days after my order. All fine looking sticks. As mentioned by others, packing was excellent! Just received my sampler pack. All sticks in expected condition, great packaging, sealed with H packs, outstanding value.